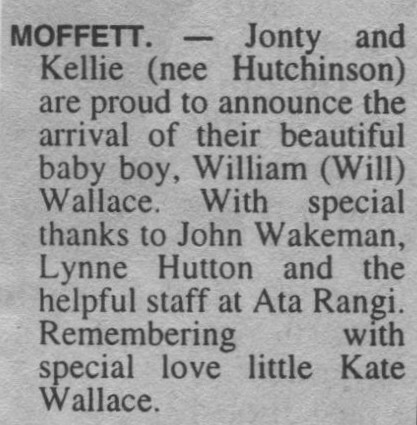 Jonty and Kellie (nee Hutchinson) are proud to announce the arrival of their baby boy, William (Will) Wallace . With special thanks to John Wakeman, Lynne Hutton and the helpful staff at Ata Rangi. Remembering with special love little Kate Wallace.